We travel from the East Coast to the Midwest to the big sky country this week. Billings is the largest city in Montana (about 160,000 population) and a spot Lewis and Clarke visited in their monumental trek West in 1806. 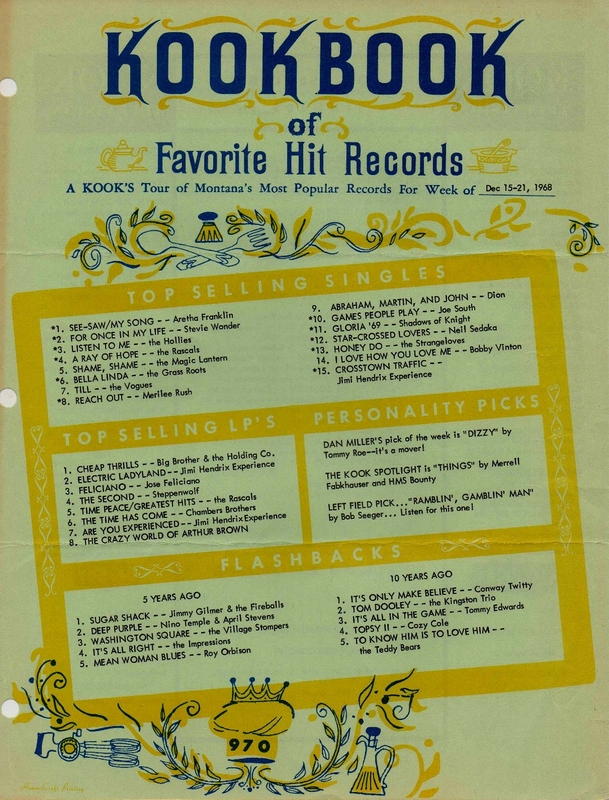 KOOK always had some great music on their charts back in the 60's. 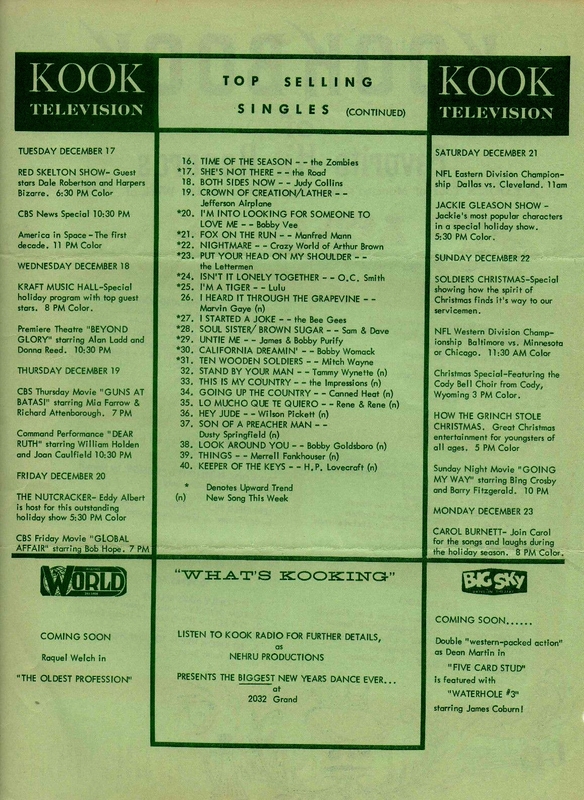 The station had yet another interesting way to show their chart listings, utilizing BOTH sides of their "KOOK book" for the entire top 40 run PLUS a look back at "the old days" and even TV for that week, which included "The Grinch!". Look closely at this chart and you'll find three two-sided hits (including Aretha's #1) and TONS of cool obscure tracks with interesting stories. With Graham Nash off to join his new west coast friends, the remaining Hollies use an old Buddy Holly tune to reach #3 here! Older artists like Dion and Neil Sedaka are making their mark, too. There's The Zombies and a Zombies "re-make" at #16 and #17! Two Chicago oddities appear as well, one being the Shadows of Knight's "Gloria '69" at #11. Dunwich guru Bill Traut wanted to cash in on the new found revival of his old hit band (thanks to their recent chart success with "Shake"), so he got Jim Donlinger to add a fuzz guitar track OVER the ORIGINAL 1966 hit version of "Gloria" and tried to make it a hit again in a different psychedelic music era for The Shadows Of Knight. The band never knew anything about this one then! The other Chicago odd ball is H.P. Lovecraft's "Keeper of the Keys" at #40. Jeff Boyan, leader of the recently disbanded Saturday's Children, was now a driving member (along with the above mentioned Jim Donlinger!) of Lovecraft and their new underground music image would carry them well into the 70's with a cult following. There's so many cool songs here, but I wanna feature "Honey Do" by the Strangeloves. They had been off the charts for years (remember "I Want Candy" in 1965? ), but this song sounded as if they never left their image of hard driving pop rock hit making days. 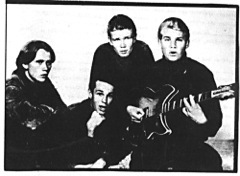 Much like their 1965 Bang records counterparts the McCoys, their 68-9 revival was nice but with little sales in return. This is, wthout question, one of the most eclectic charts we've featured in our Saturday Survey Flashback this year. 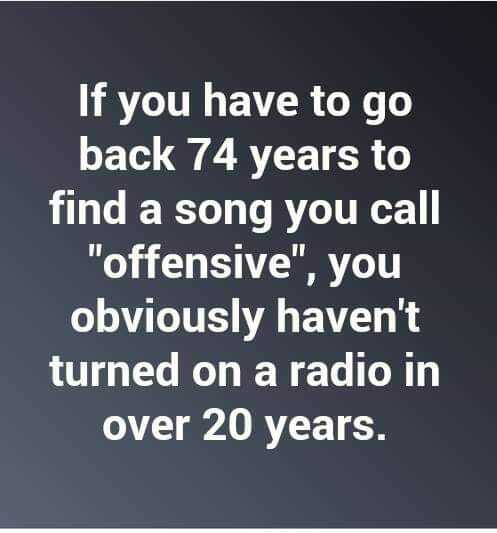 ALL kinds of "hits that never were" are represented here ... along with other records we know performing much better in Montana than they did nationally. The album chart also leans toward the heavy side, with LPs represented by Big Brother and the Holding Company, Steppenwolf, Jimi Hendrix (twice! ), The Chambers Brothers and The Crazy World Of Arthur Brown. 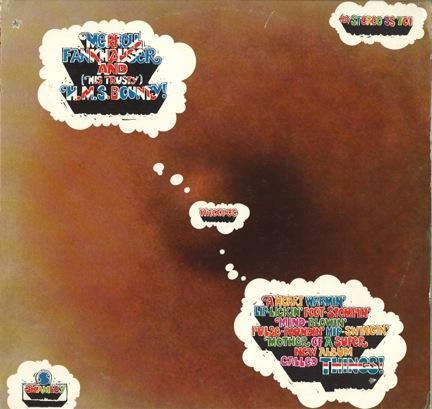 12/12/68 - The Guess Who’s first album featuring Burton Cummings on lead vocals, “Whitfield Soul” is released. It contains their soon-to-be breakthrough hit "These Eyes." Also on 12/14 - “In-A-Gadda-Da-Vida” by Iron Butterfly is certified gold today. It has since sold over 25 million copies. Thanks so much for sending those old charts with my song "Things" from 1968! 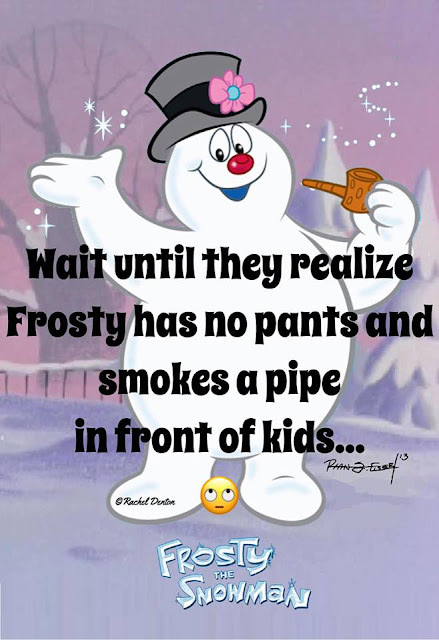 Wow, what a surprise! We were on a lot of stations nationally that I never saw many charts from. 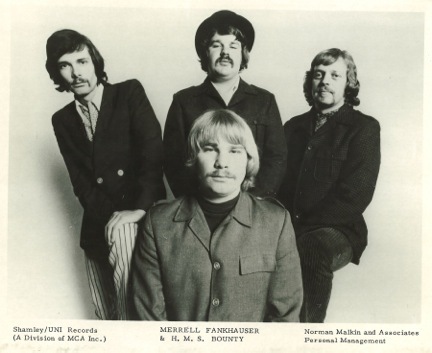 The Merrell And HMS Bounty album is a valuable collectors item and is being reissued again this year on vinyl and CD! 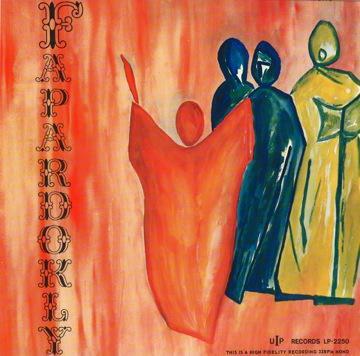 My 1967 album 'Fapardokly" gets $1,000 for a sealed copy and $450 for a mint open one! The lead song "Lila" from the album is in the new movie 'Chappaquiddick" and the song "Tomorrow's Girl" was on the Warner Rhino 2011 Grammy nominated compilation box set "Where The Action Is L.A Nuggets 1965 - 1968" ... and the song "Supermarket" was in the Thomas Pynchon novel "Inherent Vice". Amazing that three songs from the album are back in the spotlight after all these years ... ! 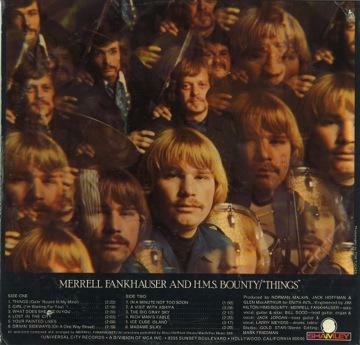 Have you heard the Merrell And HMS Bounty album? Glad you like "Lila" ... there's even an offer now to put it out on a single! It still amazes me how those old songs from that album are coming back! 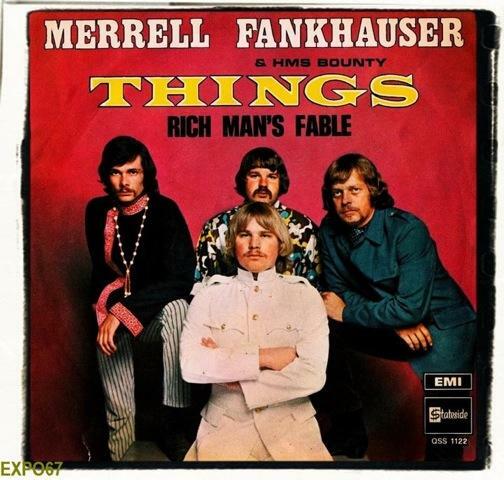 One they recently choose for a movie is titled "Don't let Go," and was originally recorded by "Merrell And The Exiles" in 1965. It sat on a shelf at Glenn Records studio for 50 years unreleased! I also have an offer for two of the songs to be in a TV series besides one in another movie. Maybe we can even land one in a national commercial spot ... Steve Miller told me he made 500 G's from "Fly Like An Eagle" when it was being used in the Dodge truck TV ad ! 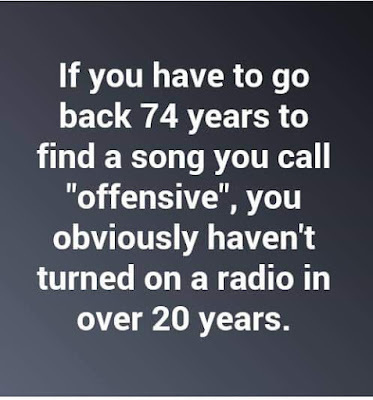 Yep, ads, TV and movies is the way to go and there is a big market for older music from 50's, 60's and early 70's! I have over 40 albums now not counting boots and compilations on various labels domestic and foreign. Lastly (for now anyway), I've been offered a national radio show to air on the East Coast and on the net that will be one hour monthly shows that follow my music career chronologically from 1962 to now. The show starts October 2nd. Any mention you can give my music and "Lila" in the "Chappaquiddick" movie is appreciated. Here's the link when to the new "Lila" video, which is now up on youtube. Yeah, I like this tune a lot! Here are the album covers and band photos of "Fapardokly" and "HMS Bounty." The photo without a title is Merrell And The Exiles that played on five of the songs on the Fapardokly album. The rest of the pics are HMS Bounty as well as the front and back of the LP. The top photo of HMS Bounty was our best selling single that made it on many charts nationally and the 'bubbling under' in Billboard. We thought it was going to really be a big hit but watched it fall off the charts when the label Uni / Shamley signed Neil Diamond, who had his first hit on a small label. All the promo went to him! And FH Reader David Lewis told us that down in Nashville (which is where we're headed), musicians are “especially upset” about Todd being slighted again. I remember hearing Tony Orlando tell his story that Bobby Darin left him his rhythm section. Tony Orlando was also with popular DJ Murray The K at the time of his death. Thanks for the write up on my favorite, Tony Orlando! I'm looking forward to seeing him again in January, alas, without Telma and Joyce. I was at the show in 1977 when he had his breakdown on stage over the death of Freddie Prinze, where he performed with Dawn for the last time for a very long time. After all these years, he is still a great showman, always giving it his all, always thankful to his fans. His band is amazing - each a star in their own right. The crazy jams are my favorite part - when he gives each of them a time to shine. Thoroughly enjoyed your Tony Orlando & Dawn review today. And I wanted to thank you for including updates on the station in your past two newsletters. There’s quite a bit of overlap between your readership and our listenership, I’m seeing, so you’re helping keep them informed. It’s interesting to see where people get their news. When Comcast dropped us (as of December 1), we posted an announcement about that on social media and our home page. Over a hundred people responded over the next few days. Yet, I’ve been getting 3-4 notes each day since then from listeners asking, “Why can’t I get you on Comcast?” Your newsletter is another way of filling the information gap. It never crossed my mind that I would one day hear the entire Beach Boys Christmas album live ... But tonight that’s what happened! From Little Saint Nick to Auld Lange Syne. Plus, a little bit of church. 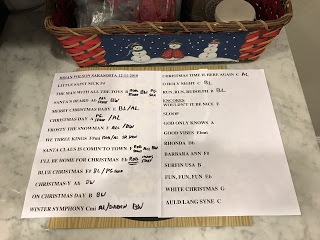 We Three Kings (wise men and women) still seek Jesus … and a stunning rendition of O Holy Night, beautifully sung by Blondie Chaplin. Added to The Man With All the Toys ... let every heart prepare him room. Thank you, Brian, for inviting Jesus to this Christmas party! Boy, Forgotten Hits is EVERYWHERE this week!!! Dino's back on the charts. This person may not mean a lot to the folks who were *fans* of pop music in the 60s and 70s, but he did help a lot of *makers* of pop music who were making the scenes. The host of the Upbeat Show (based in Cleveland, but quickly syndicated around the country), Don Webster, has passed away on Thursday 12/13 at the age of 79.